London, 02 June 2009 – The independent directors of player protection and standards authority eCOGRA have approved an updated version of the requirements for an Affiliate Trust Seal, incorporating suggestions made during consultations with affiliate program managers. The requirements now include a review of the security architecture of affiliate programs applying for the Affiliate Trust Seal, and proof that applicant programs can fully recover from unforeseen system disasters that could impair a program’s level of service to its affiliate clients. 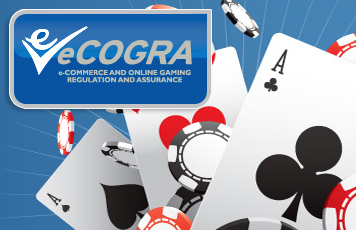 Following extensive international research last year, eCOGRA developed a set of best practice standards for affiliate programs which has to date been successfully implemented in three major affiliate programs, with others currently undergoing the inspection and compliance phase by eCOGRA’s professional audit teams. Andrew Beveridge, CEO of eCOGRA, says that there is strong demand from the affiliate community for independent on-site audits conducted by qualified Chartered Accountants and IT specialists with appropriate industry knowledge in order to improve business efficiencies to international standards, and give affiliates the assurance that the tracking and revenue calculations of accredited affiliate program softwares are fair and accurate. Affiliate programs shall be able to demonstrate that they can recover from a system disaster”. Beveridge commented that this more focused approach will enable eCOGRA to reduce review fees to GBP 5 000 per annum, excluding expenses. “Where possible, testing will be conducted remotely, however it will also be necessary to conduct certain elements of our reviews at the operator’s premises,” Beveridge explained, adding that his organisation would also provide a thoroughly experienced dispute mediation channel for complaints falling within the scope of eCOGRA’s Affiliate Trust Seal mandate. “I would like to make it clear that our involvement will henceforth be limited to the standards covered in the audit. We will therefore not be drawn into areas beyond our mandate from affiliate programs which we have not inspected and audited – and therefore cannot properly investigate – in disputes that may involve adequacy of funds, timing of payments to affiliates, and advertising practices,”Beveridge said. Any affiliate program can apply for the eCOGRA Affiliate Trust Seal, provided management is prepared to commit to the requirements and comply with the regular reviews and audits by eCOGRA compliance teams. The requirements have been developed through expert international consultation and with input from leading affiliates and program managers, and are designed to make practical improvements to business efficiencies and ensure that affiliate marketers are treated in a professional and fair manner in their dealings with accredited programs.